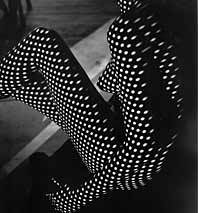 Photo: The estate of Fernand Fonssagrives/Courtesy Bonni Benrubi Gallery, N.Y.
P art doctor’s office, part pampering zone, the medspa (sometimes called a medispa) concept seems to make perfect sense for a city where time-pressed women want to combine the more pleasurable parts of body maintenance (facials, massages) with the more painful approaches (Botox shots, collagen stimulation) that have become routine. In recent months, six new ones have opened: Skin Thera P, Näbi MedSpa, Institute Beauté, Sleek MedSpa, Tribeca MedSpa and Tribeca Skin Care (the last two are on the same street but unrelated). And enterprising dermatologist Neil Sadick has opened a glossy 4,000-square-foot Upper East Side establishment called Sadick Dermatology Center, which offers Fraxel laser treatments and body contouring—although he disputes the “medspa” label, stipulating that his is a full-service medical facility. Despite the spa language and imagery in their literature, the new medspas seem more clinical than comforting—the furnishings are uniformly sleek and minimal, not cozy. Many have affiliated doctors, although there’s some skepticism as to whether those M.D.’s are really patrolling the treatment rooms. Only doctors or registered nurses are allowed to man the syringes. And though they might be easy, these treatments aren’t cheap: A syringe of Restylane can be $1,000, and the treatment needs to be repeated every three months or so. More medspas are coming; Sleek’s owner, Andrew Rudnick, wants to open another half-dozen in Manhattan by the end of 2007. Here’s what’s being offered as the new ways to tighten, lift, and plump. The HydraFacial system pelts skin with a mixture of water and various serums. It claims to be just as effective as microdermabrasion for deep cleaning and reducing fine lines but less irritating. Recovery: The 30-minute treatment doesn’t leave skin red like microdermabrasion, but sunblock should still be used. At: Silk, 286 Fort Washington Ave., nr. W. 172nd St., Ste. 1B; 212-923-5111. The Titan laser uses a pulsing infrared light, said to stimulate collagen production, thus tightening and firming skin. Recovery: According to the centers, there’s no pain and no downtime, and makeup can be applied immediately afterward. The procedure has been around for only a year and a half, though, so clinical results on the lasting effects are still pending. At: Juva Skin & Laser Center MediSpa, 60 E. 56th St., nr. Madison Ave., Ste. 2; 212-688-5882. A numbing cream is applied to the face, and the lines are injected with one of the following fillers: Restylane, Hylaform, or Captique. Recovery: Bruising and swelling can last for a few hours up to a few days. Results last three to six months. Price: From $650 per syringe (one treatment typically uses one syringe). At: Tribeca MedSpa, 114 Hudson St., nr. Franklin St.; 212-925-9500. Sclerotherapy uses needles to inject small veins with a solution that collapses them. There’s some pain with the injection. Recovery: A slight itching and burning for up to two hours after the treatment. The center says lines vanish “almost immediately,” but other reports say veins darken first, then gradually fade over six to twelve weeks. It’s permanent, though. Price: $300 to $450 per leg for the basic treatment; $750 to $900 per leg for the “foam” treatment, which is said to be less painful. At: Sadick Dermatology Center, 911 Park Ave., nr. 79th St.; 212-772-7242. Botox is now being used for wrinkly ankles, and laser hair removal on feet and toes. Recovery: There can be some redness and soreness after Botox. At: Institute Beauté, 885 Park Ave., nr. 78th St.; 212-535-0229.